IsoVibeSX Polaris Switchback Small Riser Block Model ISO-POLEXSX - Grip N Rip Racing LLC. Fits Polaris's new small riser block that is only 3.125" wide like the 2007 and newer models. Fits the Axys and Rush and other models with the narrow riser block. 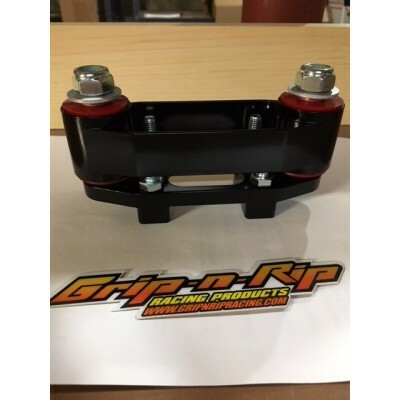 Does NOT fit sleds with an old style steering post plate, an aftermarket riser, or PRO TAPER bars.